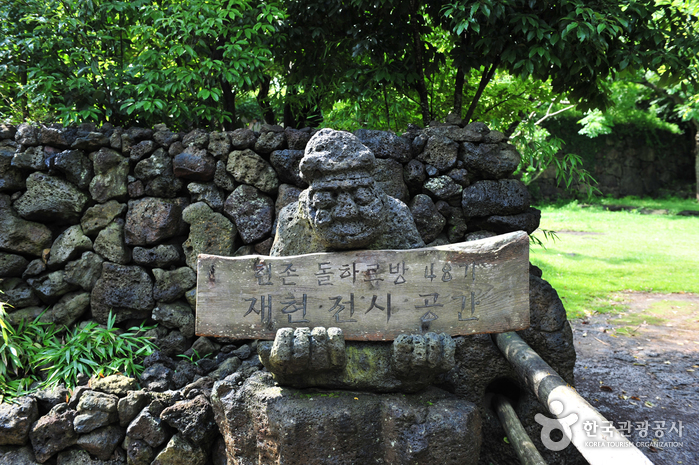 As a main symbol of Jeju Island, Dol Hareubang, literally meaning "Old Grandfather" stone statues, can be found everywhere on the island. 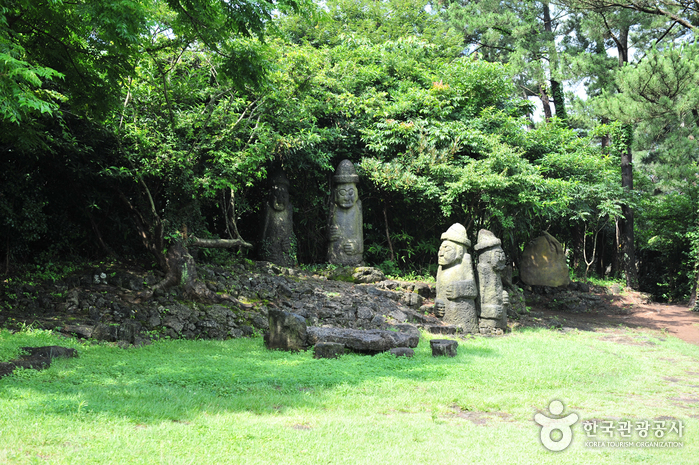 But a lack of historical documents has hampered the true understanding of the statue among people. 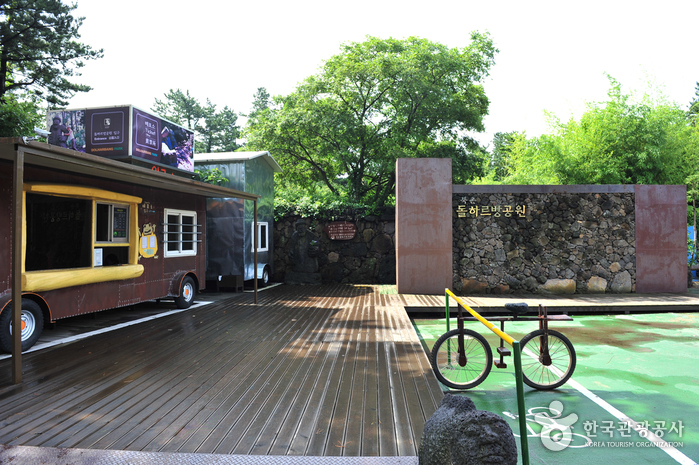 Bukchon Dol Hareubang Park puts together a wide variety of the statutes and, in doing so, illuminates their aesthetic and scholarly importance to visitors as well as future generations. 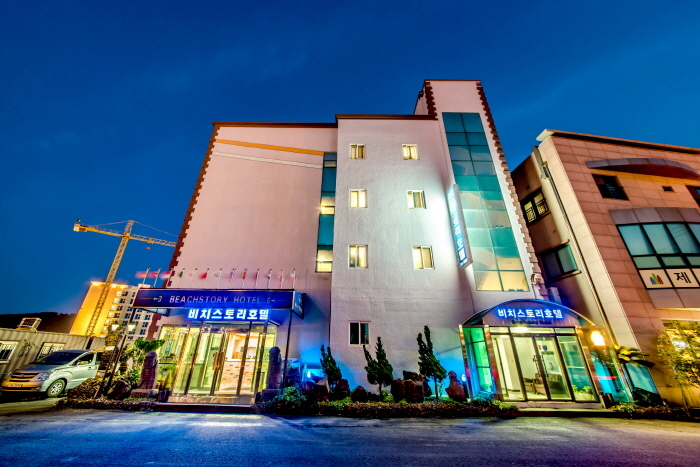 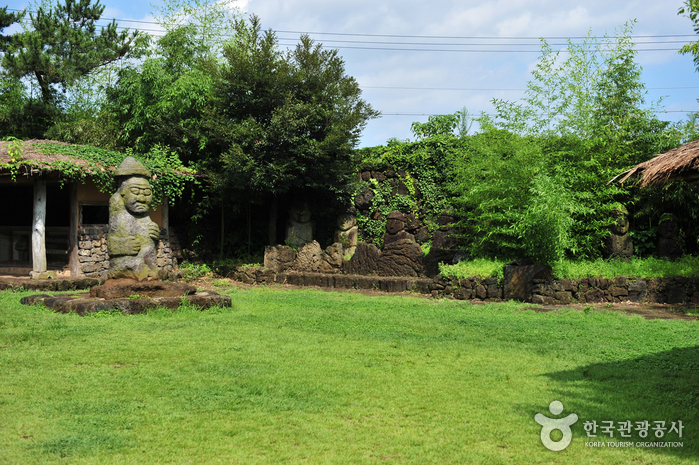 In this sense, the park is not only a tourist attraction, but also a learning center for children and adults alike. 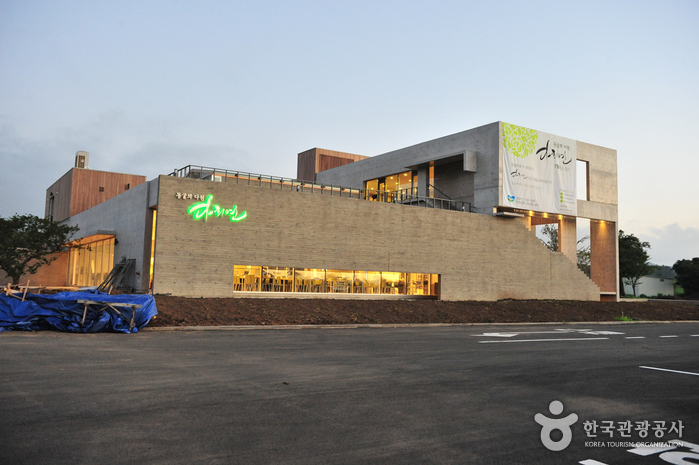 The park consists of 48 Dol Hareubang, a promenade, reinterpreted Dol Hareubang focusing on the theme of peace, a traditional local garden, and a learning center. 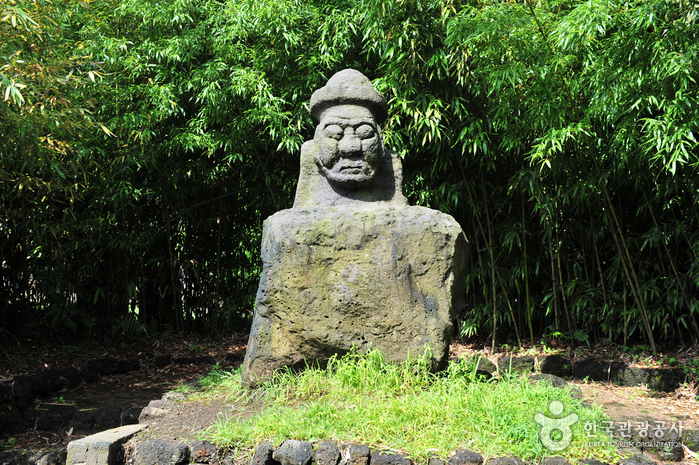 Symbolizing Jeju Island, Dol Hareubang was also called Useokmok, Museokmok, or Byeoksumeori in the past. 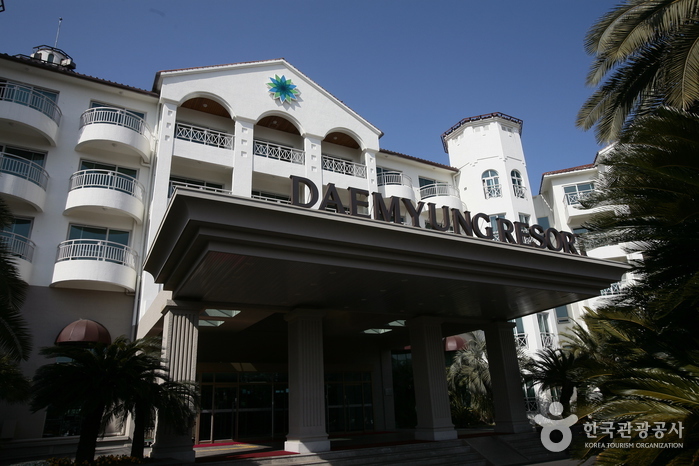 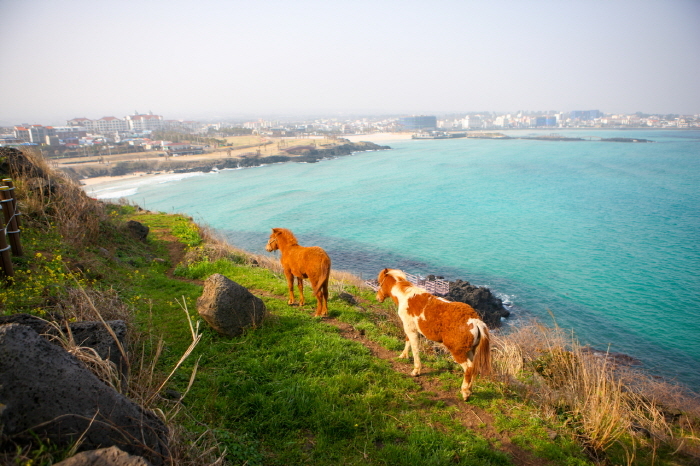 Dol Hareubang became the official name in 1971 after being designated as a local folk heritage. 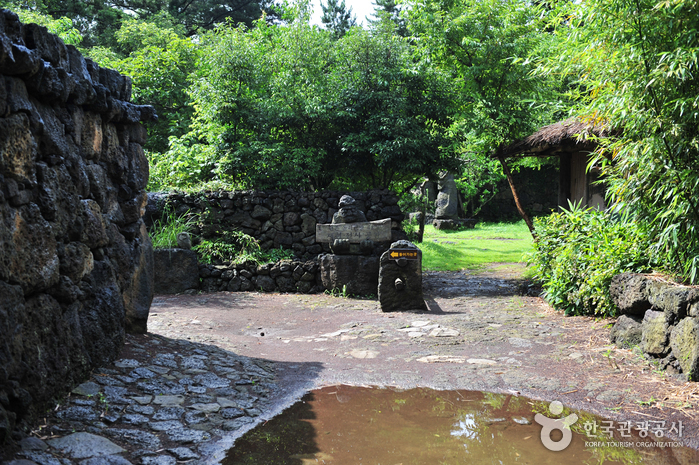 Although Dol Hareubang was originally seen only around the entrance of government seats such as (Jejumok, Jeonguihyeon, and Daejeongheyon), there are over 48 Dol Hareubang throughout the island (21 in Jeju City, 2 in National Folk Museum of Korea, 12 in Seongeup, and 13 in Daejeong). 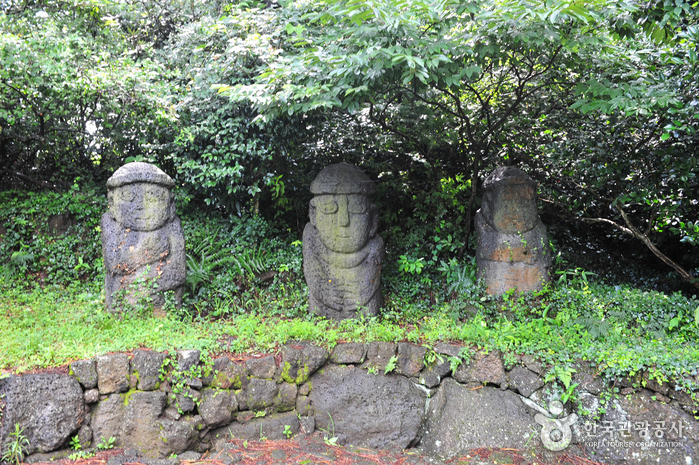 The shamanistic statues are believed to be offering protection and warding off demons. 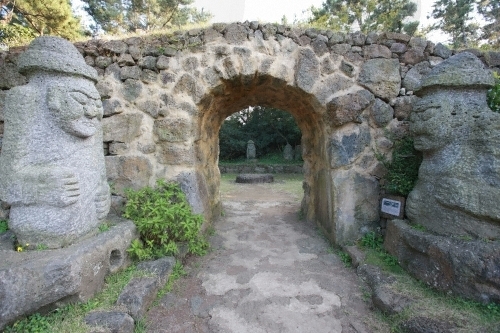 According to Tamnaji (Record of Tamna) published by Damsugye (a group of scholars on Jeju Island in the past), Dol Hareubang is believed to have been initiated by Kim Mong-gyu, then Magistrate of Jeju in 1754 (30th year of King Yeongjo’s reign). 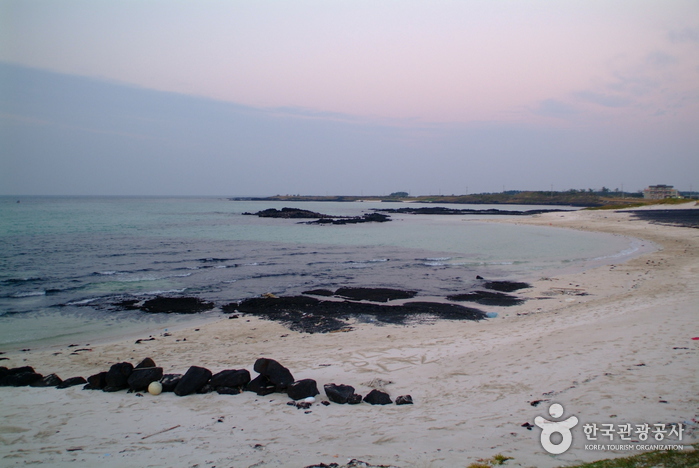 Carved from porous basalt, Dol Hareubang reveals simple expressions blending naturally with the island. 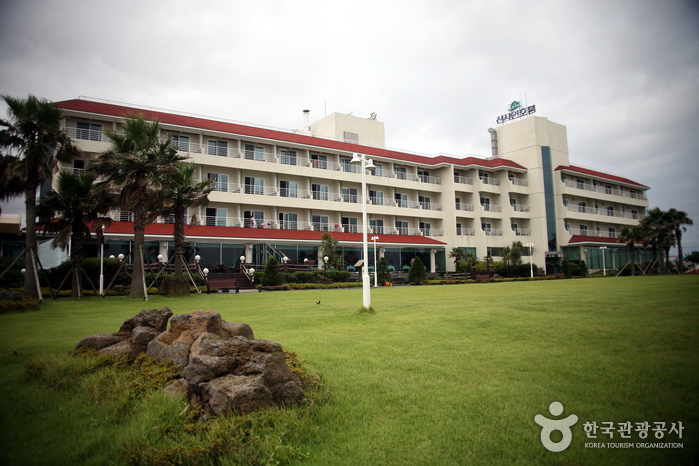 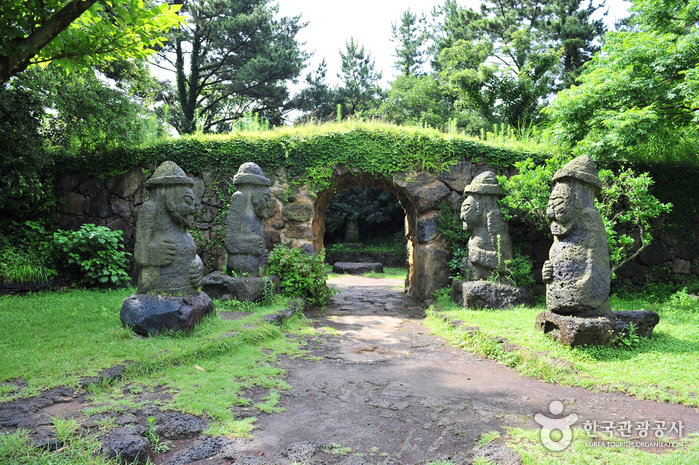 It is the unique cultural heritage that can only been seen and appreciated on Jeju Island.